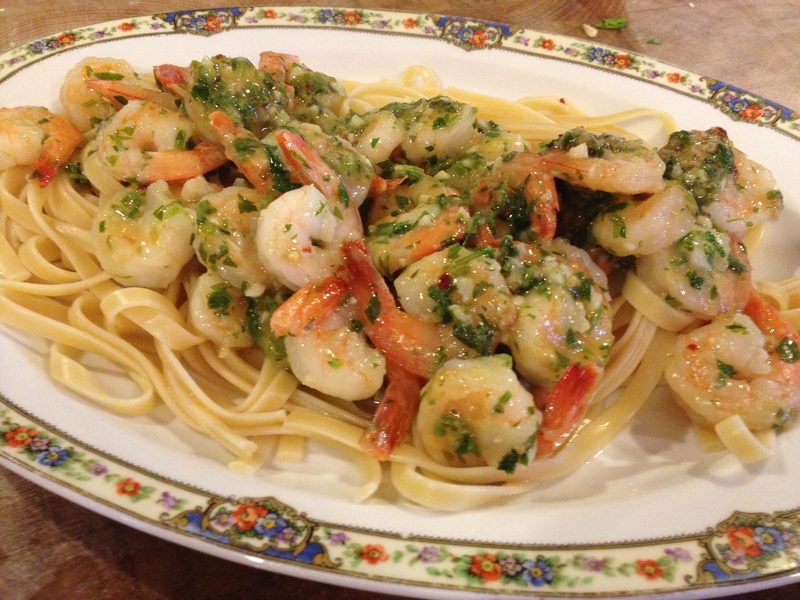 When we first arrived in Winter Park, Florida, the dish every restaurant had was “Shrimp Scampi”. I don’t think I have ever run across it anywhere else. Over the years it has become my favorite “Cupboard dish”. I like cupboard dishes. I have several in my repertory. When you just haven’t been able to get to the store, florida when you are a little bumfuzzled or blah there are always those loyal cupboard dishes to get you out of the doldrums. In I hold out for fresh shrimp, but let’s face it. Most shrimp is flash frozen aboard a ship and flash frozen is what we get. 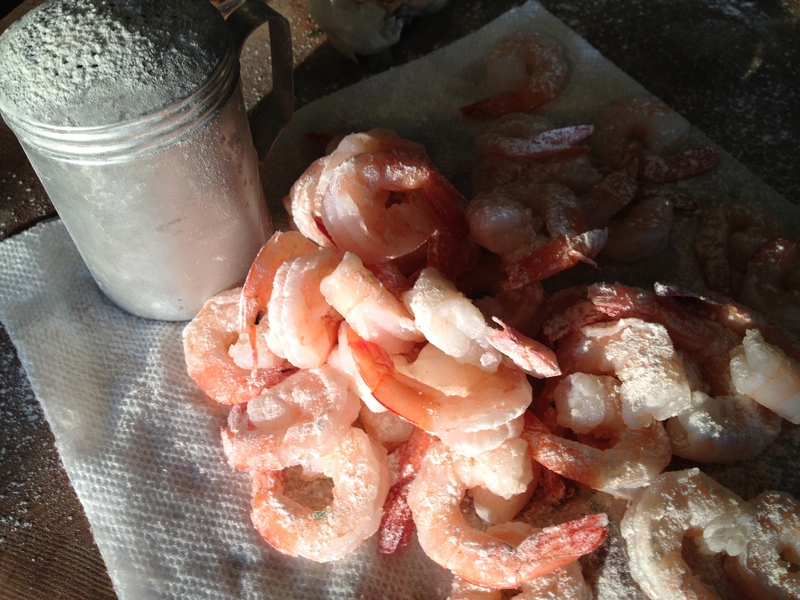 So, might as well have a bag at-the-ready in the freezer to use when the notion strikes to have shrimp. When a recipe calls for white wine, I find that dry vermouth is a good choice. It is white wine, but it is one that has been fortified and flavored with various roots, barks, flowers, seeds, herbs, and spices. So, used in cooking you are already adding more flavor to the dish. The other thing about it is that it keeps much better and longer than white wine so you don’t feel bad using just a 1/4 cup at a time. Open it, use a little and keep the rest in the refrigerator for several months, which is not possible if you are opening up a bottle of white wine. It will always be a dry wine, so no fear of introducing a sweetness to a savory dish. So, there you have it. The etymology of the Vermouth is interesting. It is corruption of the German word for wormwood which was one of the ingredients used in making the wine and it stuck although wormwood is not really used in making vermouth. Anyone can make vermouth and call it vermouth. The best are French and Italian vermouth. 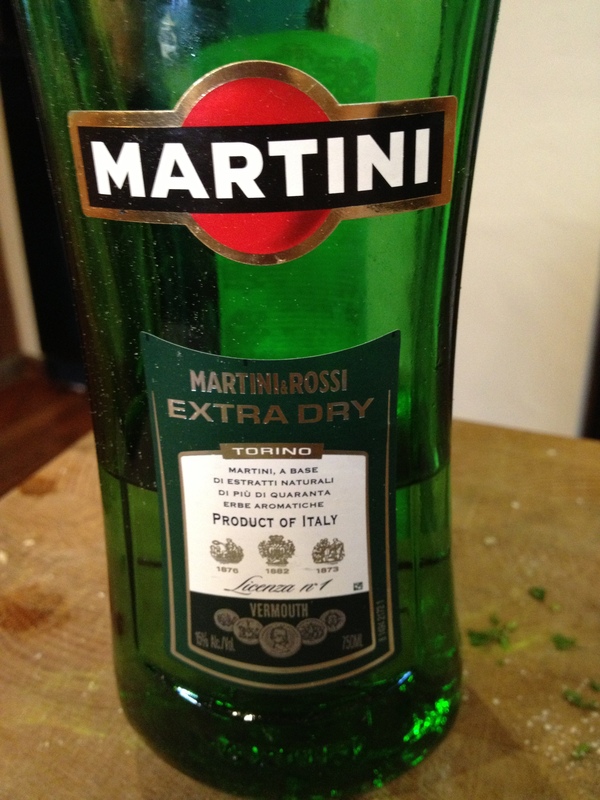 I prefer the italian, Martini, and don’t necessarily get it by the case, but I always do have it on hand. 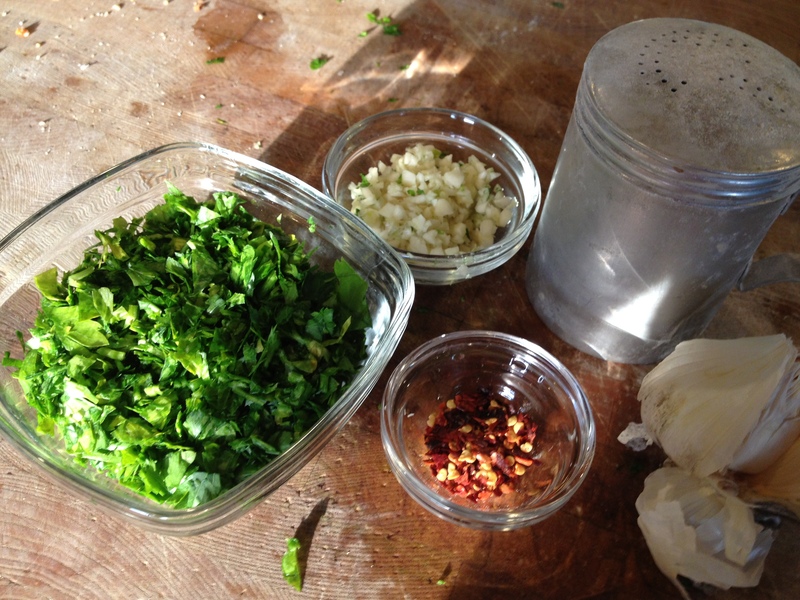 Chop the parsley and mince the garlic. Peel, de-vein, and butterfly shrimp (it is not necessary if you are using commercially cleaned shrimp). 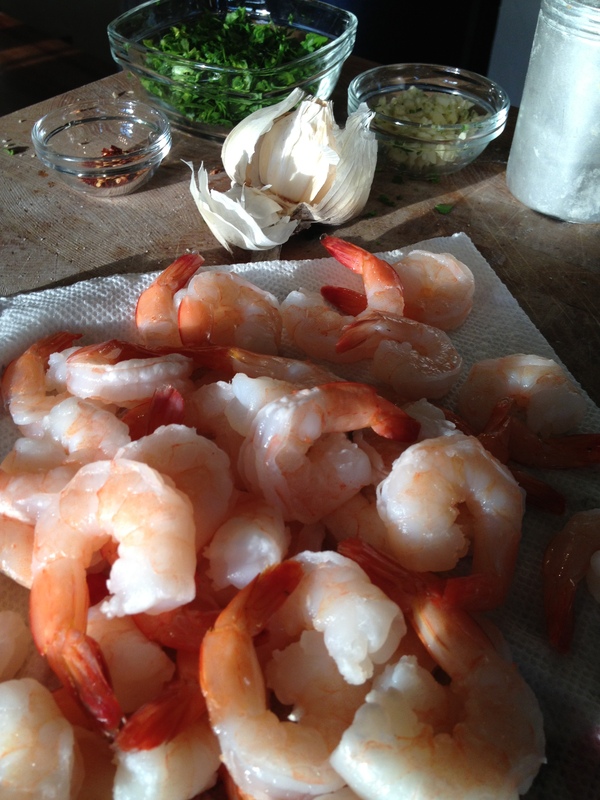 Dry shrimp on paper towels. 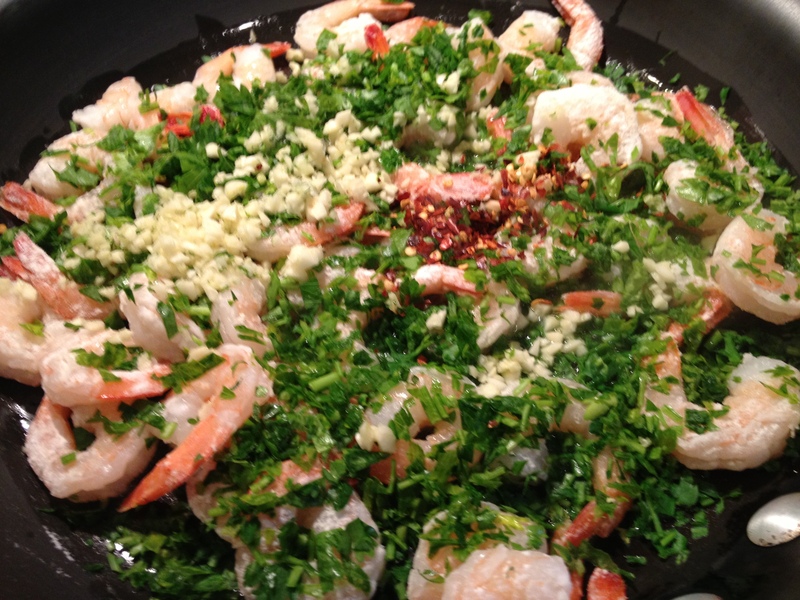 Heat oil in a large skillet over medium-low heat until fragrant. 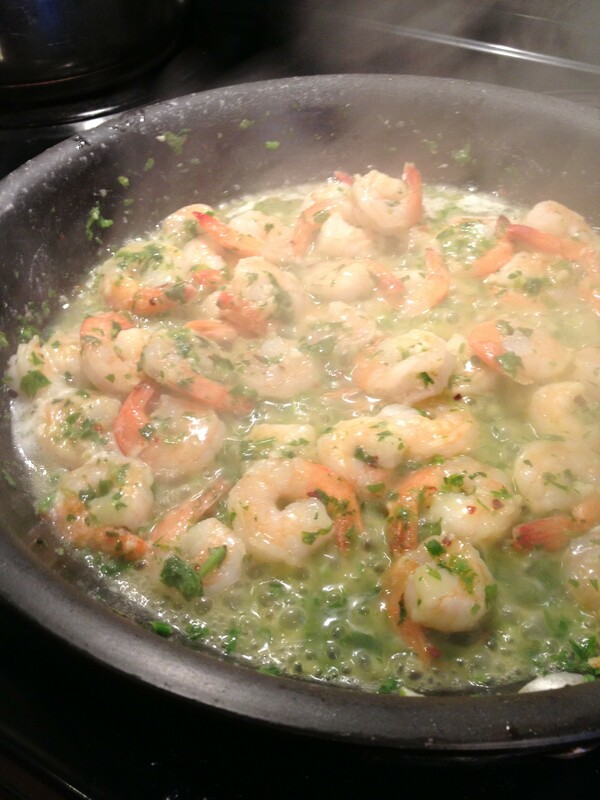 Add shrimp, the garlic, parsley, and red pepper flakes and toss to coat. Cook until pink and no longer translucent, 3-4 minutes. Add the vermouth and shake the pan to coat. Allow to reduce for 1 minute. Toss drained linguine into pan and swirl to mix. Slide onto a platter and serve. Pass grated parmesan cheese.